Mosquito-repellent bracelets make for a higher profit! How do these bracelets make for a higher profit? Well, that’s because people can sit outside for longer, and the longer they sit outside, the more profit you’ll get. It’s just that one thing you won’t consider on a summer evening. If a person gets a lot of mosquito bites, they’re less likely to order another round. Especially annoying when you’ve put on some nice summer clothes to show off your brown limbs and there are mosquito bites all over you! Time for a solution; anti-mosquito bracelets! By giving your customers these anti-mosquito bracelets with your logo on it, you’ll make for a higher profit. 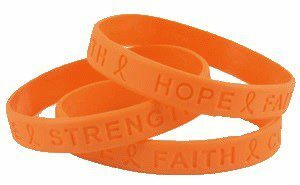 We don’t just sell these bracelets in yellow, we also sell them in a nice orange tone. The bracelets also come in different sizes, for kids, for women, and for men. We can engrave the silicone bracelets as well, and put your logo on it. I choose to go drink a beer with my friends on a terrace, not with 50 bloodsucking mosquitos. And to be honest, until not too long ago I didn’t realize it could be just as temporary as a shower of rain. But sometimes you just want to go to that one specific place where everybody else is going, and what do you do when there’s rain and thunder on the other spot where there are less mosquitos? With these mosquito repellent bracelets you can just do what you want to do. But remember; besides your house key and lip gloss- to bring that mosquito repellent bracelet! If you have a company or catering business you can’t always expect your customers to bring one themselves, a solution to this can bring a lot of extra orders and profit. Ordering these bracelets is possible at euro-logo.nl. the bracelets work because of the citronella, they smell nice and fresh and keep mosquitos away. They can stay good up till 7 days! Besides, they’re much more efficient for the wearer than a citronella candle on the table which will also be more expensive, less stylish and you can’t put your own logo on it. The mosquito-repellent bracelets can be engraved with a company name, text or logo and are packaged separately, which is very practical when you want to hand them out. With these, we’ re absolutely ready for the summer! For more information on these bracelets or if you want to order them immediately, please contact us.